Audi sets a target of 12 electric models by 2025. Audi finally is going bold with electrification. After the most recent unveiling of the e-tron SUV, the company already is hard at work with other models - twelve in total by 2025. The EV expansion is promised to include all market segments using four platforms to construct cars of all kinds and sizes. Soon, at the upcoming Los Angeles Auto Show, we will see a new Audi e-tron GT concept, which will target Tesla Model S territory. The car will be based on a new e-platform with tech developed in collaboration with Porsche, so maybe it will get ultra-fast charging at 800 V? Audi’s modified platform for first BEVs: for Audi e-tron and e-tron Sportback "The Audi e-tron and e-tron Sportback use components from Audi’s modular longitudinal platform. This and numerous innovative technologies primarily in the area of drive systems are giving rise to a separate product family of e-SUVs with electric quattro all-wheel drive. Fast charging with up to 150 kW and ample range suitable for long-distance journeys are benchmarks in this class." 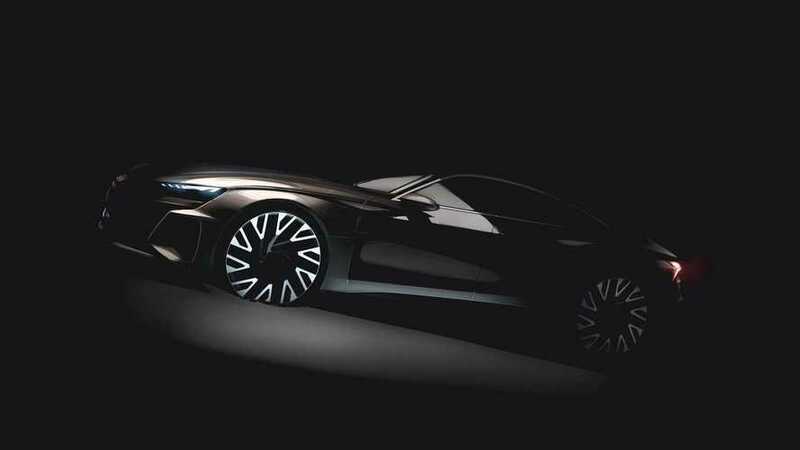 Second e-platform: for Audi e-tron GT concept "Audi will present the first member of another e-platform by the end of 2018: The Audi e-tron GT concept showcar, a highly dynamic coupe with a flat floor assembly, is debuting at the Los Angeles Auto Show. The technology in this automobile was developed in collaboration with Porsche; the design and character of the e-tron GT concept are packed full of unmistakable Audi DNA." Premium Platform Electric (PPE) developed by Audi and Porsche: multiple models in high-volume B through D segments "Another joint project of the development departments at Audi and Porsche is the Premium Platform Electric (PPE). It will be the basis for multiple Audi model families with all-electric drive covering the high-volume B through D segments of the market. Both SUVs and classic body concepts are planned here. A major strength of the PPE is that it was developed exclusively for electric drive. This offers advantages with respect to weight, the package and the proportions of the body." Volkswagen modular electrification platform (MEB): for high-volume A segment "Several Volkswagen Group brands are collaborating on the development of the modular electrification platform (MEB), which serves as the basis for a series of Audi e-models, particularly in the high-volume A segment. One of these is being developed specifically for the requirements of China, the single most important market." “The Audi e-tron is definitely a highlight in the history of our company and the starting signal for our electrification strategy.” A total of four technical platforms and product families are the prerequisite for offering electric vehicles in every segment from A to D. Close collaboration between Technical Development and other Group brands leverages the synergies required for a broad, global range that also offers optimal prospects of financial success.